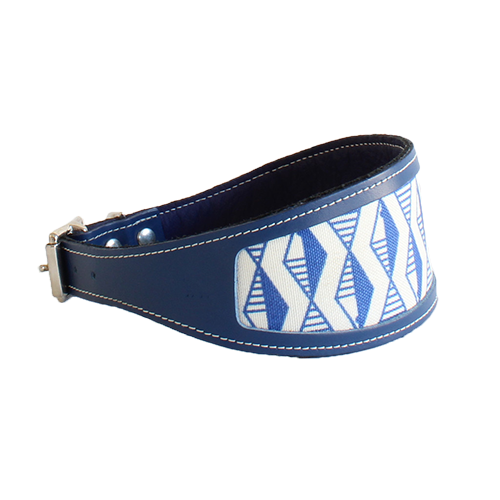 Browse our range of luxury greyhound and whippet dog collars made by some wonderful designers here in the UK. Most of our designer greyhound collars are lovingly handmade to order for us from the finest materials. We have leather greyhound collars and soft fabric hound collars suitable for the most delicate of necks.